In these Messraster-accuracy demonstration photos, a German mark bill was laid flat on a surface. Then a German 5 penny piece was laid on top of the bill, and a 10 penny piece was laid on top of the 5 penny piece. In the first photo, the focus is precisely on the surface of the lettering of the top, ten penny piece. 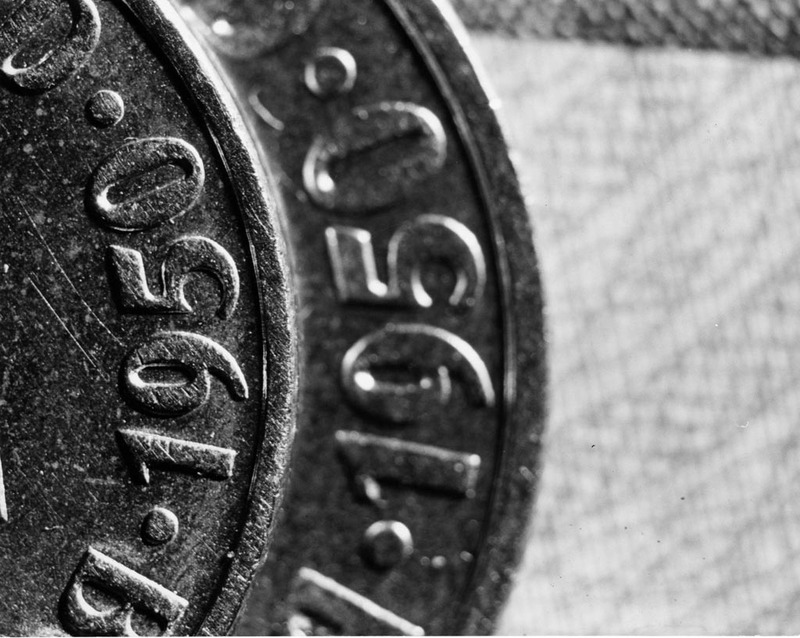 In the second photo, the focus is on the surface of the raised, engraved numbers on the middle coin. In the third photo, the focus is on the lower, indented surface around the raised numbers.